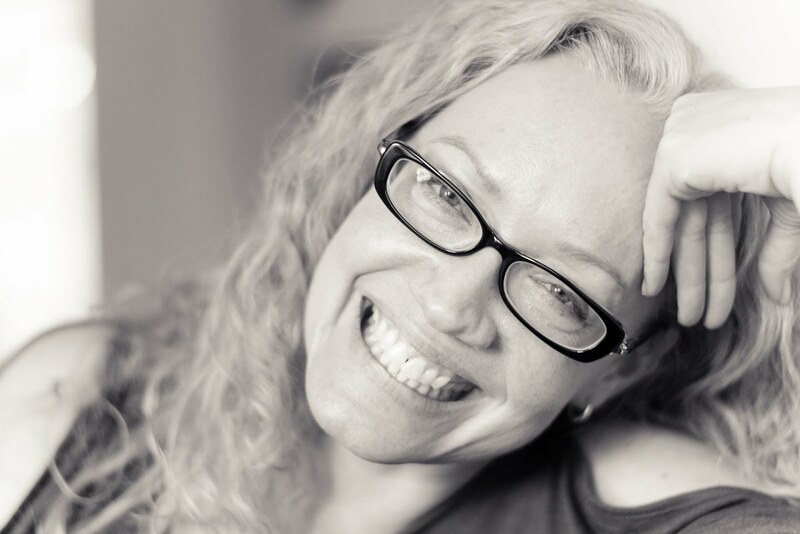 Andrea is a zero-waste pro and the talent behind Bula Jeans Boutique, making what seem to be pretty famous "muck shoes". 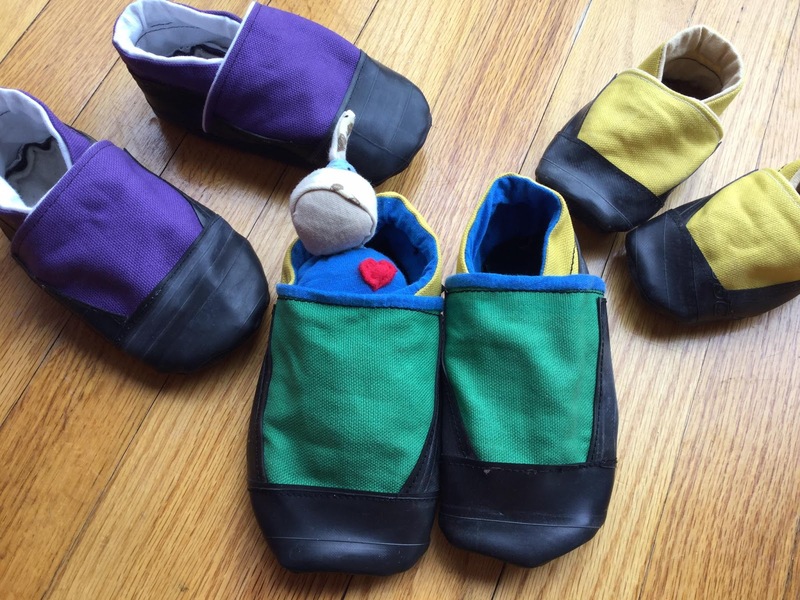 To build the outer soles of her shoes, she repurposes rubber from bicycle tire inner tubes. Moisture-wicking wool serves as the sole liner and old T-shirts are transformed into a soft inner lining. Durable fabric from old sweaters and jeans or new water-resistant duck cloth form the outside. She figured “they should work well in the camps. If they get muddy, you just rinse them off and they dry really quickly. Because of the elastic, they stay on the feet even if they are a little big so children can wear them a lot longer than typical shoes”. Originally, she pledged to make and ship 50 pairs of shoes. But the community response to her project was so enthusiastic that she was able to send many more. 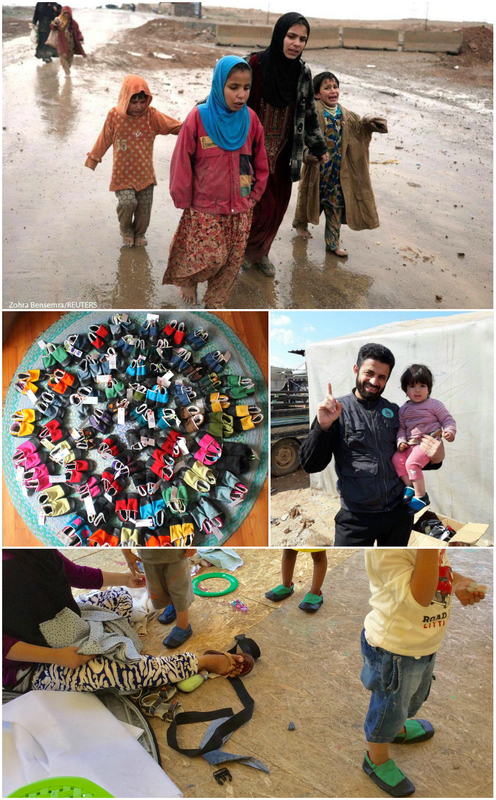 With the help of an aid worker in Turkey, she got her shoes to the camp. Take a look at this video of her first box being opened. The shoe project opened the door to Andrea and her family deciding to go to the island of Lesbos, Greece. 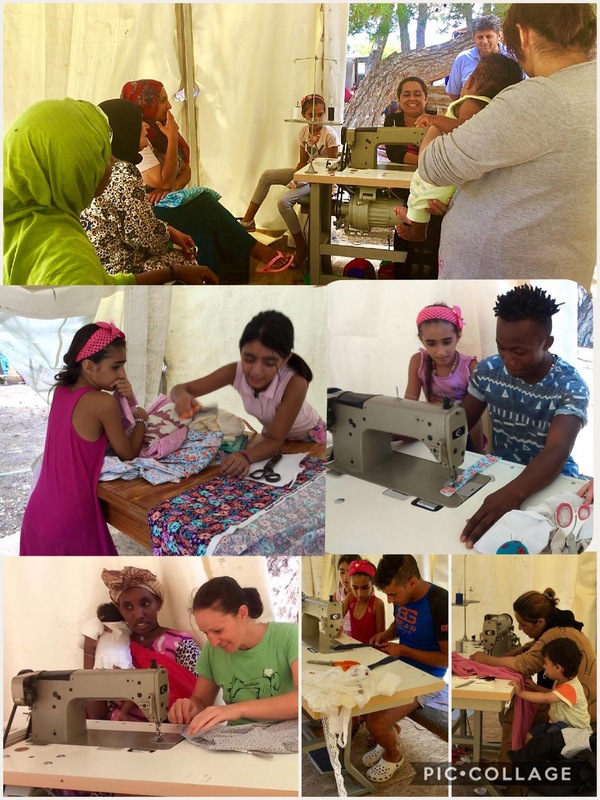 Andrea is leading sewing workshops, her goal being to teach basic sewing skills and suggest items that can be sold for profit by the people living in the camp. 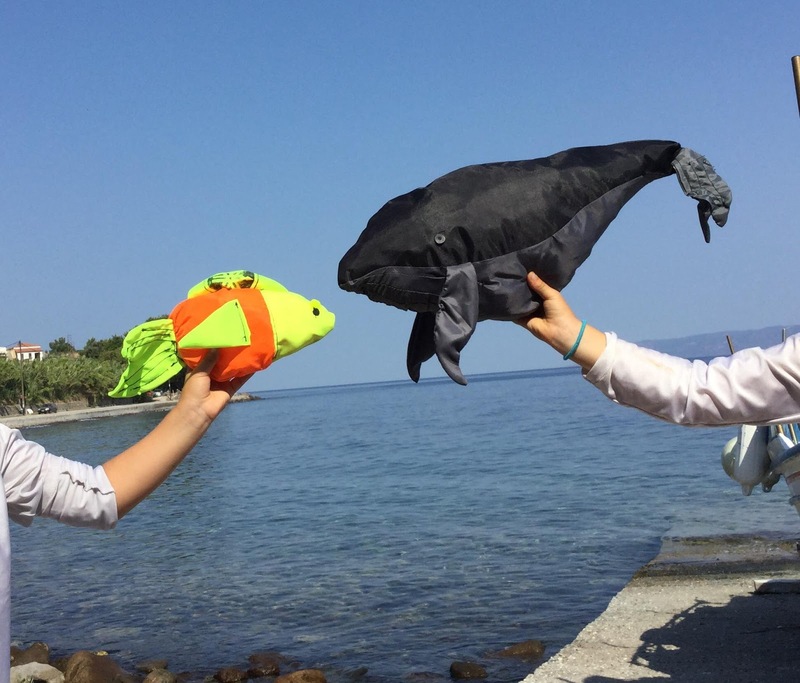 She's also working with Lighthouse Relief to help design items that can be made from the over 10 acres of deflated rubber rafts and life vests left by the refugees passing through the island. TEN acres. 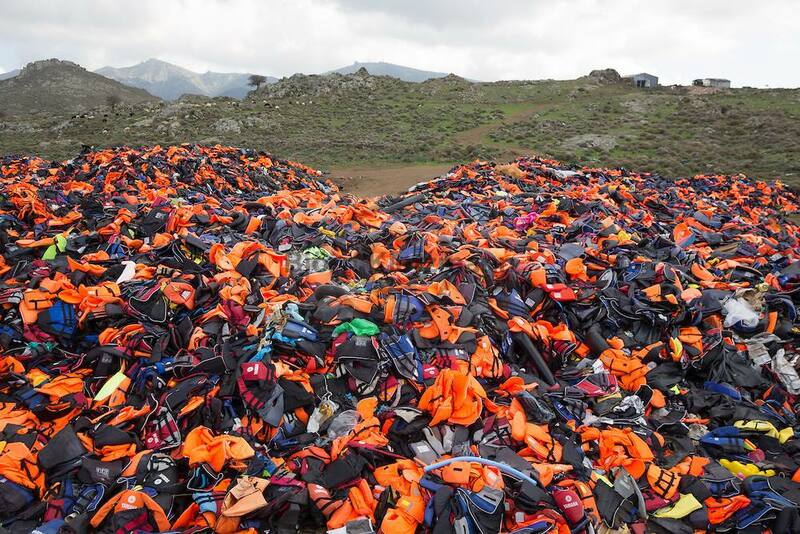 "This ... is part of the mountain of life vests and rubber rafts that have been discarded on the island of Lesvos. Each one of these (10 acres full!) represents a life desperately looking for a safe home. 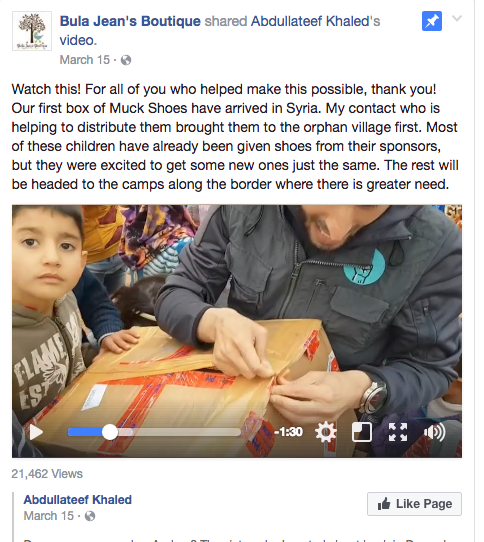 In a few short weeks it will be my job to design products from this, teach refugees how to make them and then market them throughout the world. 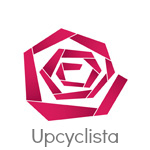 Of course shoes are on the top of the list (a rubber flip flop design is in the works), as well as bags, belts and balls." Based on her Facebook feed, she's so far figured out designs for a great (and very popular!) soccer ball, the toys pictured above and a cap. And she's working on her first shoe designs. "I have told a bit of the story of refugees and their difficult journey to Lesbos, but I would like to give some voice and perspective to the people who live here too. The place we are staying is a quiet little fishing village with just 150 residents. It is so colorful and picturesque that it almost looks unreal. Now imagine one day, out of nowhere, hundreds of terrified people landed on your beach. They are cold and wet and hungry. You can't speak their language, but still you take them into your home and give them dry clothes and food. You wrap the children in warm blankets. Then the next day hundreds more come, and then thousands. For months and months this continues. 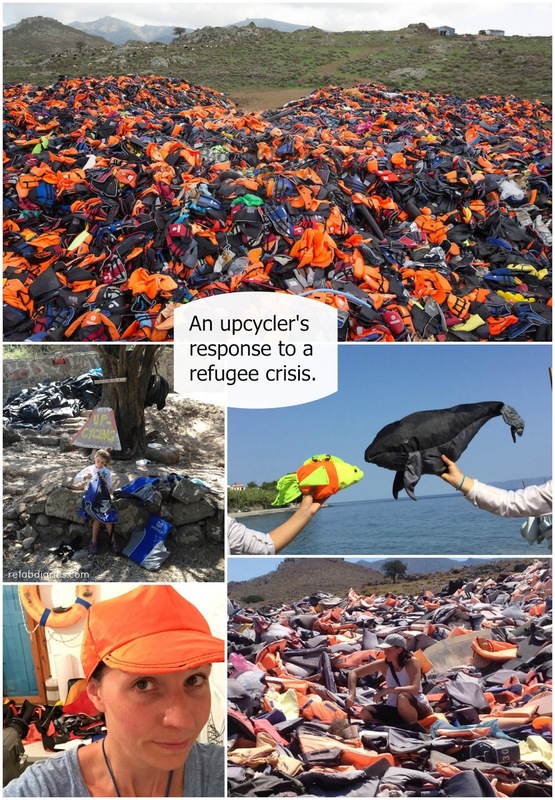 Soon the entire coastline as far as you can see is orange and black from life vests and rubber dinghies piled high. You have no more food to offer, you can no longer take people in. Your own children are now frightened because of this invasion of people and all of the chaos in town. The tourists who once helped support the town are now long gone - scared off by all of the commotion. The people of Lesvos did not ask for this. New estimates say almost 500,000 people have come through this small island since the crisis began. This is more than most countries could handle and I think it is important to have sympathy and understanding for the residents of this place as well as the migrants who have passed through." Andrea and her family are just getting started. 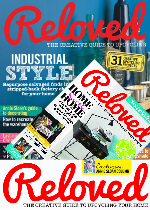 If you want to keep up with her work, follow her Facebook page - it's an extraordinary, real-time adventure in upcycling, humanitarianism and hot-weather sewing! Follow the Lighthouse Eco Relief team on Instagram and keep an eye on their web shop for products. [All images shared in this post were originally shared on the Bula Jean's Boutique Facebook page and belong to Andrea Boyko].